The Swedish producer, Rikard Fredriksson, better known as Probspot, has answered a couple of our questions! Tune in to see what he had to say about the past, the present and the future! i:Vibes: Hi Rikard, the summer is coming towards its end, what have you been up to this summer? A: Besides working with some new material in the studio, I've been on vacation with girlfriend and also spent two weeks in Åland trying to improve my fishing skills and catch some sun. Also been doing some painting and renovation of my apartment. i:Vibes: If you could describe a typical day of yours, what's it like? A: First thing I'll do after I wake up is to check my mails and do some surfing while eating breakfast. Then I'll read the newspaper, make some phone calls take a shower and then I'm of to the studio which is located quite close to where I live. Once I'm there I'll make some coffee and do some small talk with my studio neighbor Johan. Then I'll get to work with the current project. I might play some battlefield if I need a break from the music. After a days work, I'll go home, eat some dinner watch some TV, check my mails and play some computer games. If there is some extra important project I might go back to the studio and continue to work all night. i:Vibes: When in your life did you find out that music was your thing? i:Vibes: Why did you end up in the electronic music genre? Which artists have inspired your choice the most? A: Back in school I became friends with the guys in the Swedish dance project Antiloop. I got some mix tapes with psy-trance from them and I was hooked. And their music has been my main source of inspiration. It still is. i:Vibes: Did you ever think that you would end up as a musician and are you able to make a living out of your music today? A: If I look back a couple of years I would probably never think that I would have come this far with my music. If I wasn't doing what I do now, I would probably do something with graphical design or something like that. Yes, I'm able to make a living of my music. But I wouldn't recommend this if you're looking for big money hehe. i:Vibes: Which artists do you respect as music producers? A: BT, Descent, David West, Burufunk, James Holden, Deep Dish, Prodigy, Thomas Penton, Oliver Lieb to name a few. i:Vibes: What other styles outside of dance music have you a passion for and do those influence your productions at all? A: I listen to all sorts of music. As long as it's well produced and got some nice melodies etc. Before I got in to dance music I listened to a lot of hard rock. And I still have a weak spot for groups like metallica, led zeppelin and black sabbath . But I can't really say that they have influenced my productions that much. Lately I've been listening a lot to depeche mode, the doors, Kent, and even Frank Sinatra from time to time. i:Vibes: If you could choose one album to listen to on a car journey, what would it be and why? old it still sounds great. i:Vibes: Let's talk a bit about your debut album Organic Waveform, how does it feel to release your very first album? A: Fantastic. It's been a dream for many years. Who wouldn't want to release their own album. And I'm really proud of how it turned out. i:Vibes: For those who haven't had the opportunity to listen to it yet, what can they expect from the album? A: Well, it's a mix of many genres like drum n bass, break beat, ambient together with some usual probspot progg trance and house tracks. I wanted it to have something for everyone, and I think I succeeded in that quite well. Even got two vocal tracks on it. So expect probspot, but in new ways. There is also a 3 disc vinyl version of the album and it contains extended versions and some tracks that are not available on the CD. i:Vibes: One track on this album is entitled '1997', what's the story behind that name - was it a very good year of yours? A: yeah, a lot of things happened that year. Both good and bad, for me and also my music. It was lots of personal stuff that I can't really talk about. But on the music front, I got more and more into producing. And spended a lot of time learning how to work in a studio and got my first demo played on Swedish national radio (p3). That inspired me a lot. The song 1997 is also has some elements that reminds me of my earlier work from that time. i:Vibes: Do you have a tune on the CD that you have a special extra feeling for and think is a little better than the other tracks? If so please tell us which one and why. nice to try that again. Besides that track I'm really pleased with the intro track "waveform" and "hard or soft" which is a dark break beat song. 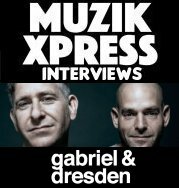 i:Vibes: There has been much talk about the trance scene's difficulties during the last couple of years. What do you think about the current trance scene? If you see a problem, how is that affecting your music? A: To be honest I don't really care about what's going on in the scene. I guess a lot of people feel like trance is going downhill or something like that. It doesn't really bother me. I'm going to make my music the way I like it regardless on what's going on in the trance scene. I've never really considered my self to be a pure trance producer, just a producer of dance music. But I guess my music has moved more in the trance direction the last two years. i:Vibes: Do you think that the trance listeners have been too spoilt with contstantly evolving music? A: hmm perhaps, I really don't know. i:Vibes: How do you predict the future will be for the trance scene? Which roll do you hope that you will play in the future? A: It will probably get bigger and more popular as more people get in to club music these days. It also seems like progressive trance is getting more popular as many DJs/producers are moving in that direction. For my self, I just hope that I can be around and release some tracks every now and then. i:Vibes: On the subject of the future, what more can we expect from you during the forthcoming months? A: There will be a vinyl release with remixes of some of the album tracks and possibly a dub mix of "blows my mind" released later this year, and I'm also working on an EP that should be out early next year. Besides that there will be some probspot remixes to look out for. And possibly some co-work material that's still in the works. Alright, many thanks for taking the time to answer some of our questions and we at i:Vibes wish you all the best in the future!